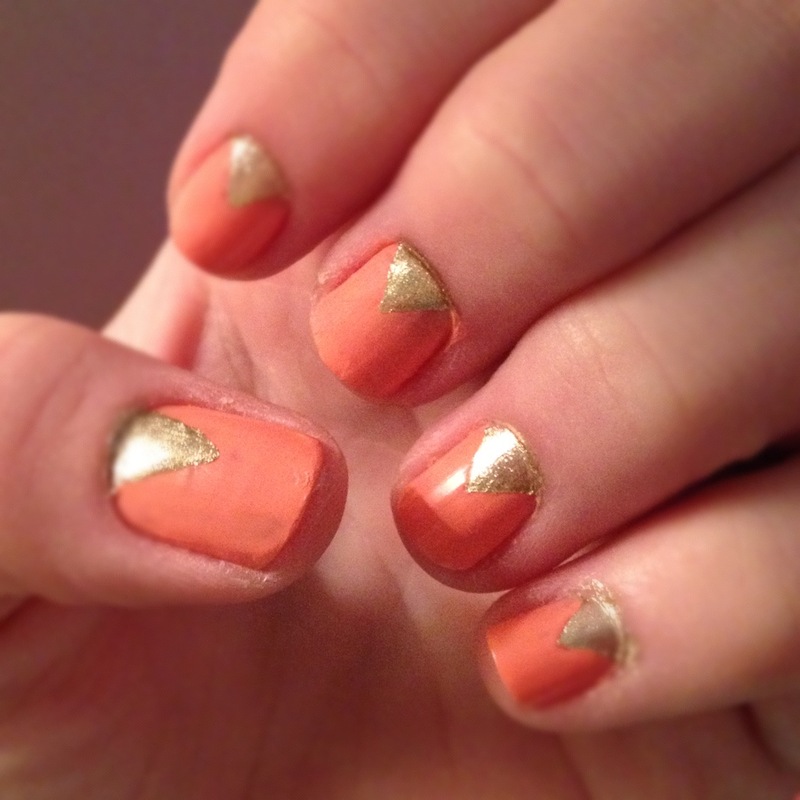 DIY Nail Polish Designs (Pinterest Pass or Fail?) | mrs. and the misc. Since I was planning on touching up my manicure for my trip that evening anyway, I decided to give this sparkly idea a try – especially since I was rocking neon sorbet orange Essie in “Tart Deco” for Vegas anyway. 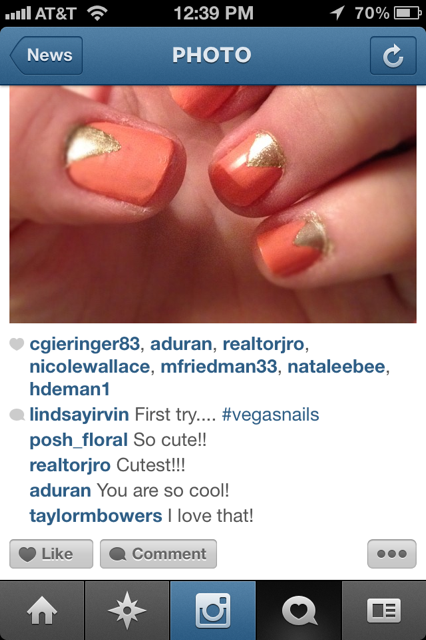 The following is a photo series chronicling my efforts to achieve Pinterest-worthy Vegas nails. Up close, fail. From afar, pass. Clearly this is something that will take practice. But you tell me … What do you think? Did they turn out OK? Please note: I am not a hand model for a reason. So, keep the man-hand comments to a minimum. Thank you. 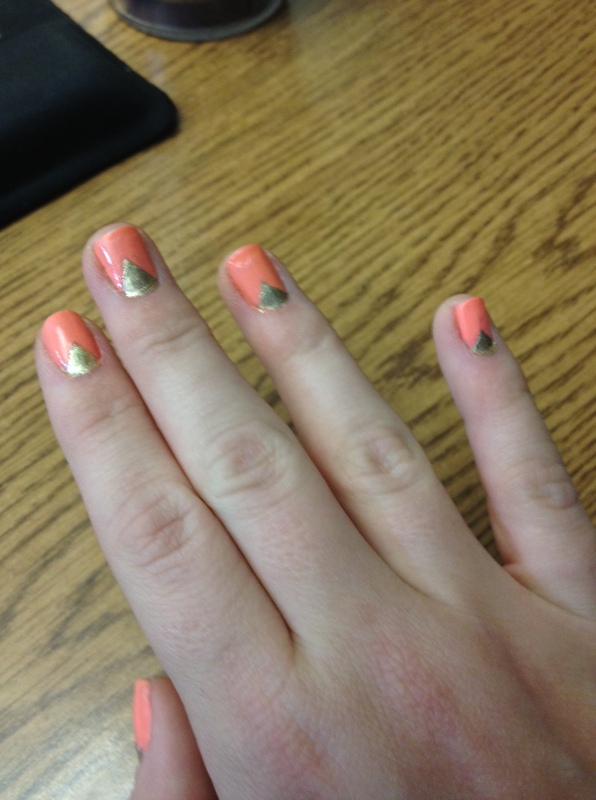 Left hand, step 1: Use electrical – or similar – tape (not as sticky, comes off easy) to create little triangles. 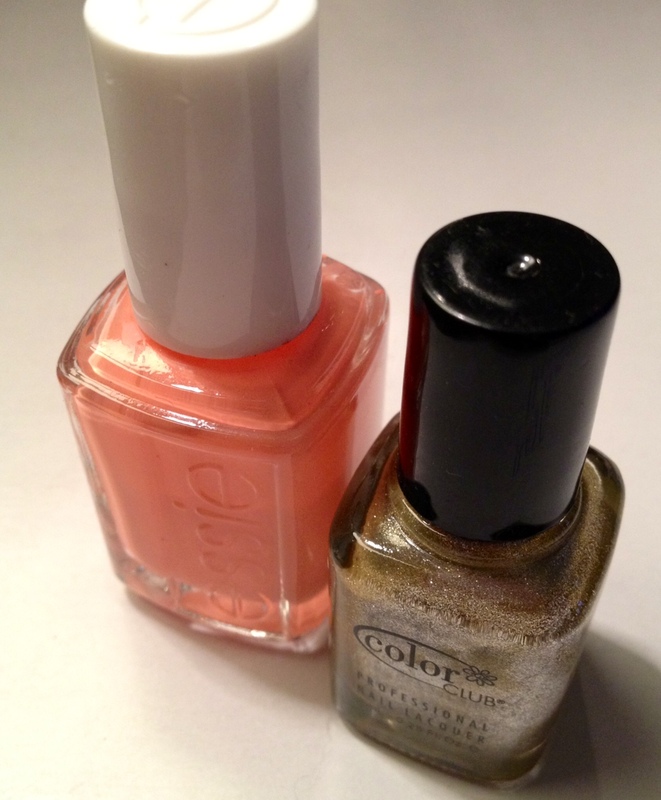 Left hand, step 2: Using the sparkly polish, paint the exposed portion of your nail. Allow the triangles to dry thoroughly before removing the tape or a mess will be made, and you’ll have to start all the way over. 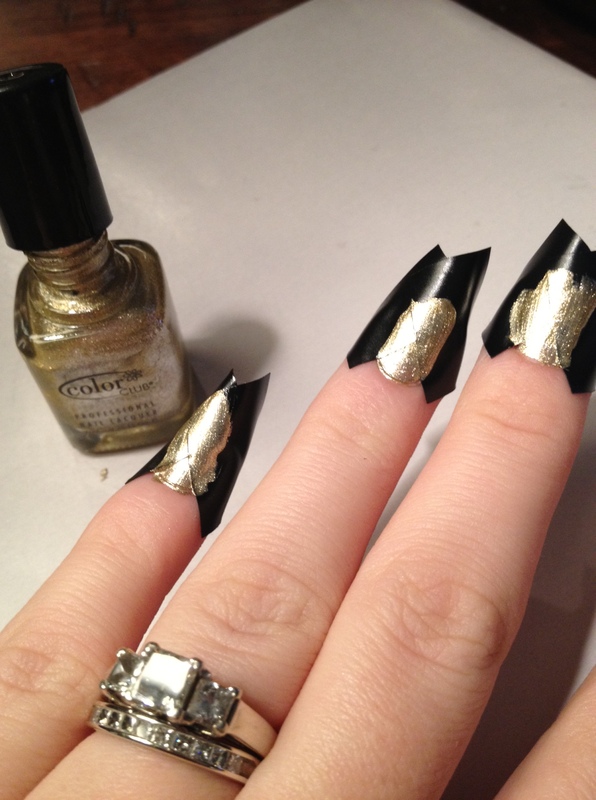 Left hand, step 4: After allowing the gold polish to thoroughly dry and removing the tape, I applied just the triangle corner of the tape back over the gold painted part and painted the Essie polish around the tape. 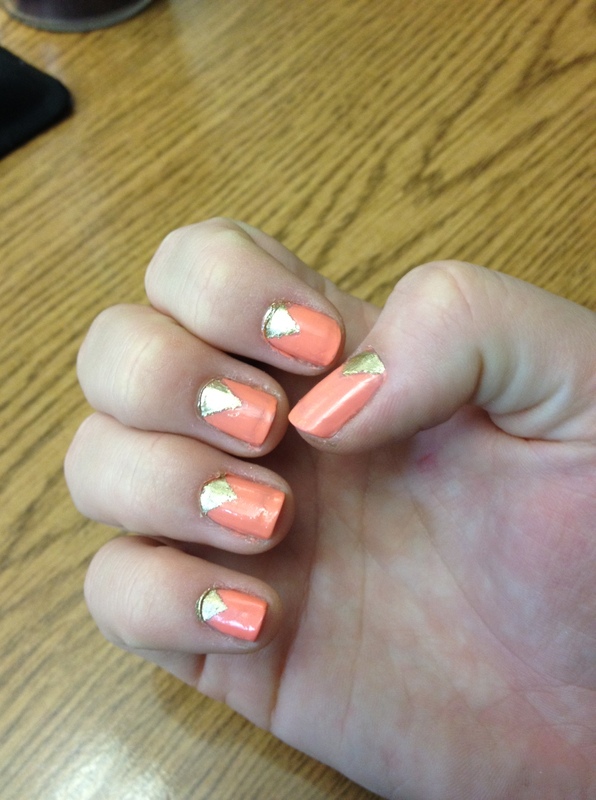 It worked OK…I had to freehand the rest to “perfect” it. 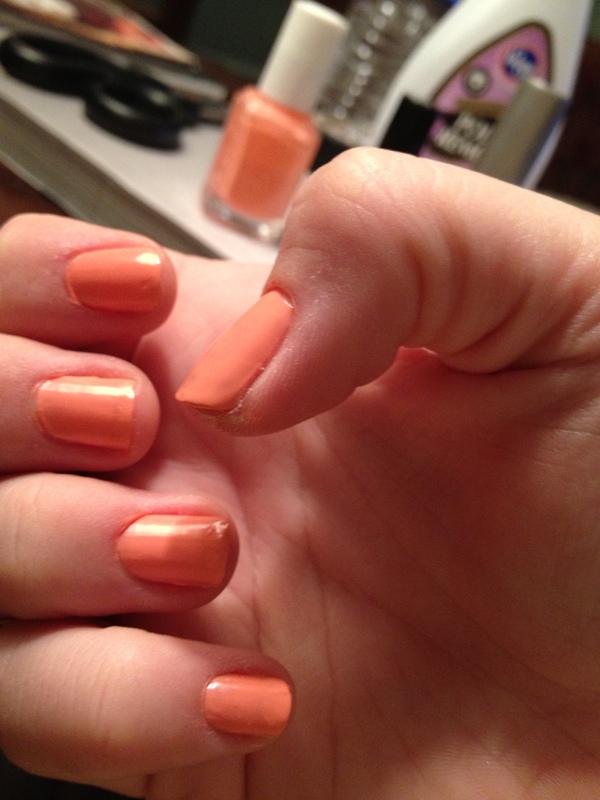 Right hand, step 1: I painted my entire right hand with the Essie polish first. Let it dry all the way and then some. 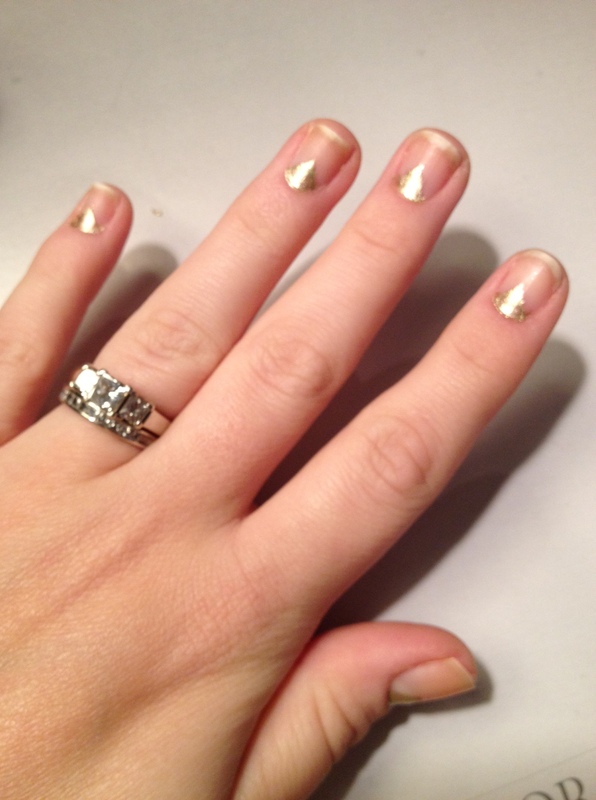 Right hand, step 2: Only after the polish is COMPLETELY dry, use the tape to create the an exposed triangle shape and fill in with the sparkly polish. Let dry for an extra long time to ensure that both coats of polish are dry. Then, remove the tape and viola! After both hands are completely dry and set (and you know you’re not going to smear the colors together), apply a thin layer of top coat to give it a glossy finish. Not too bad … but def. 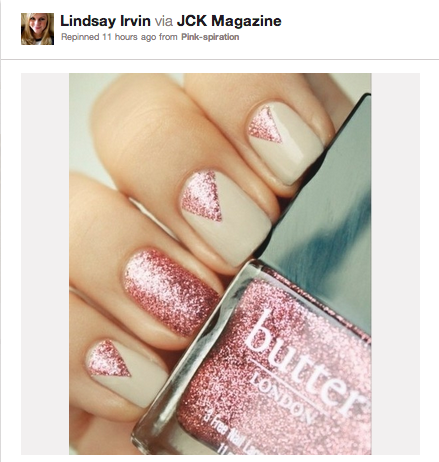 doesn’t look professional like it does on Pinterest. Next time, I’ll use gel polish. BTW: You’ll notice a little mess around the cuticles but I waited until the morning and washed my hands to loosen the polish on the skin before using my thumbnail to flick it away. I shared my results on Instagram and got some kuddos, so maybe I’m being to harsh?! So what do you think? It was super cute for Vegas, especially at the Blackjack table with my cards and at the Roulette table placing my chips. 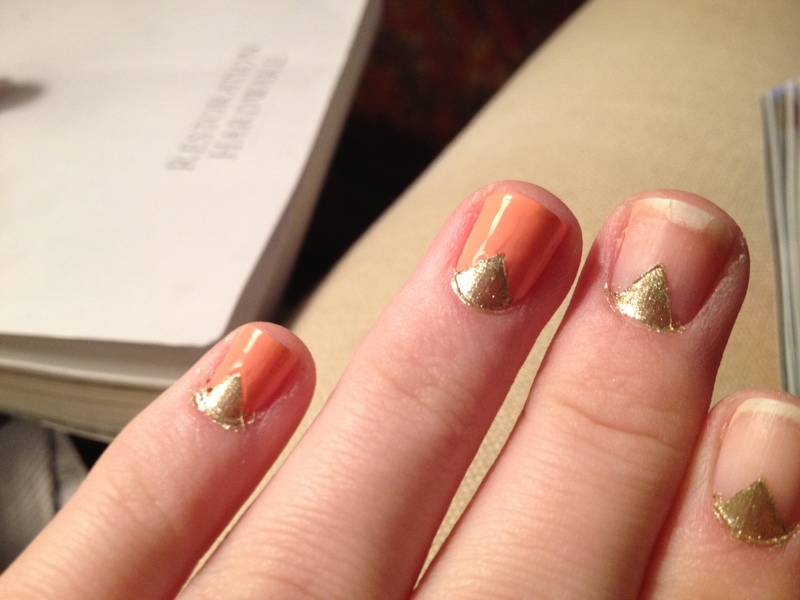 The nail arts are superb you explained how they can be drawn which is very much helpful.